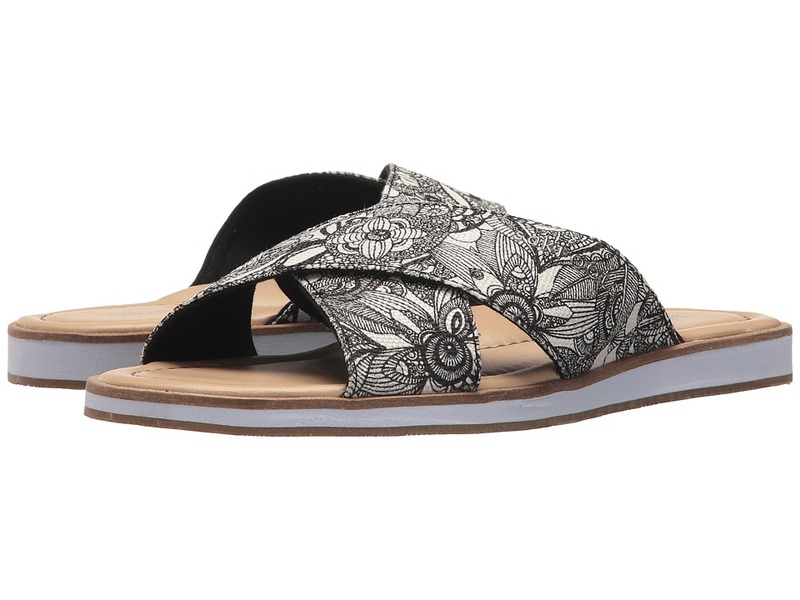 Step into the season with a fresh new style, the Sakroots Calypso Flip-Flops. Crisscross strap upper made of printed textile. Easy slip-on design. Lining made of textile. Lightly cushioned, stationed insole. Round toe. Man-made sole. Imported. Measurements: Weight: 5 oz Product measurements were taken using size 9, width M. Please note that measurements may vary by size. Weight of footwear is based on a single item, not a pair. 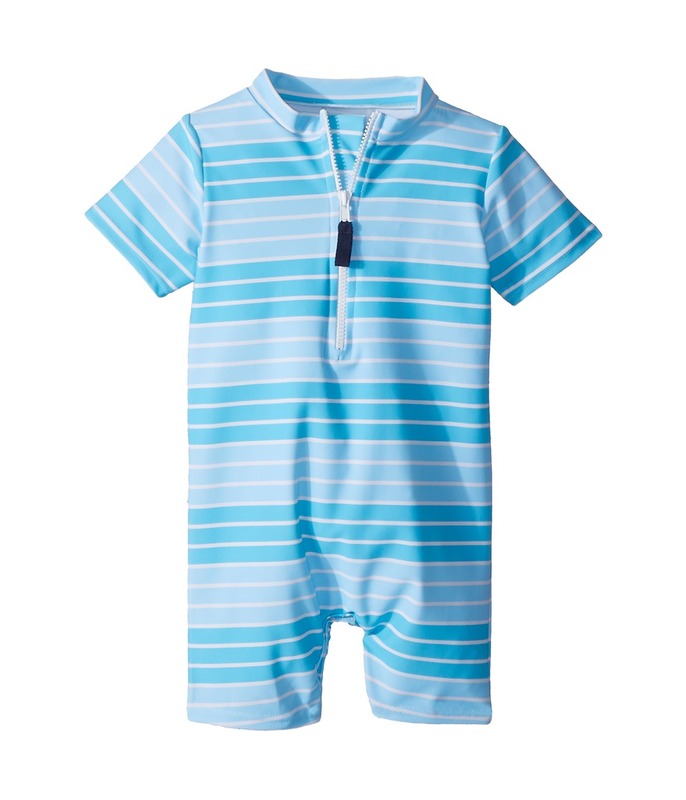 The captain of your heart will raise your spirits in the Toobydoo Aqua Stripe Sunsuit. One piece short legged sunsuit made from an skin-protecting swim fabrication. An eye-catching stripes print is featured throughout. Mock collar with a zip-up placket for easy dressing. Short sleeve construction. Embroidered rubber logo tag at back. 80 percent nylon, 20 percent spandex. Machine wash cold, tumble dry low. Imported. Measurements: Inseam: 3 in Shoulder to Crotch: 15 in Product measurements were taken using size 12-18 Months. Please note that measurements may vary by size. The captain of your heart will raise your spirits in the Toobydoo On The Beach Stripe Shortie Jumpsuit. One-piece short legged jumpsuit made from an ultra-soft stretch-cotton blend and features eye-catching stripes throughout. Utility snaps on the left shoulder and the inseam for easy changes. Crew neckline. Short sleeve construction. Contrasting trim lends a fun finish. 95 percent cotton, 5 percent elastane. Machine wash cold, tumble dry low. Imported. Measurements: Inseam: 3 1 2 in Shoulder to Crotch: 12 in Shoulder to Toe: 15 in Product measurements were taken using size 0-3 Months. Please note that measurements may vary by size. 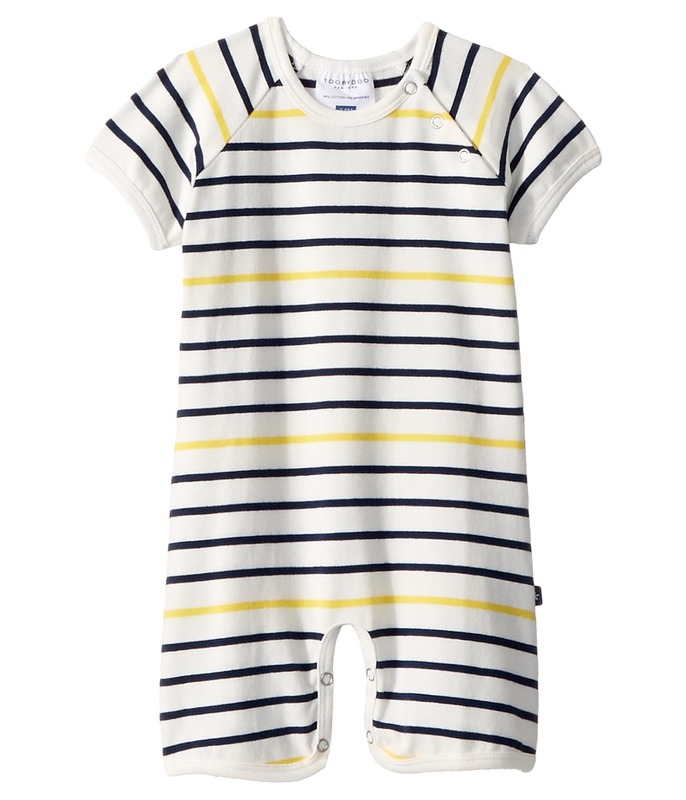 The captain of your heart will raise your spirits in the Toobydoo Sunshine Stripe Shortie Jumpsuit. One-piece short legged romper made from an ultra-soft stretch-cotton blend and features eye-catching stripes throughout. Utility snaps on the left shoulder and the inseam for easy changes. Crew neckline. Short sleeve construction. Contrasting trim lends a fun finish. 95 percent cotton, 5 percent elastane. Machine wash cold, tumble dry low. Imported. Measurements: Inseam: 4 in Shoulder to Crotch: 13 1 2 in Shoulder to Toe: 17 in Product measurements were taken using size 3-6 Months. Please note that measurements may vary by size. 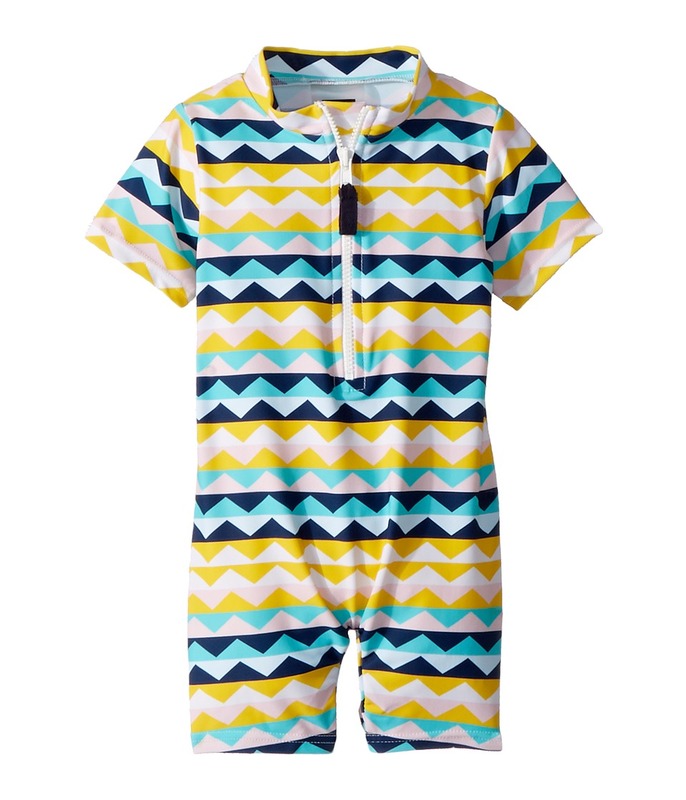 The captain of your heart will raise your spirits in the Toobydoo Fun Pattern Sunsuit. 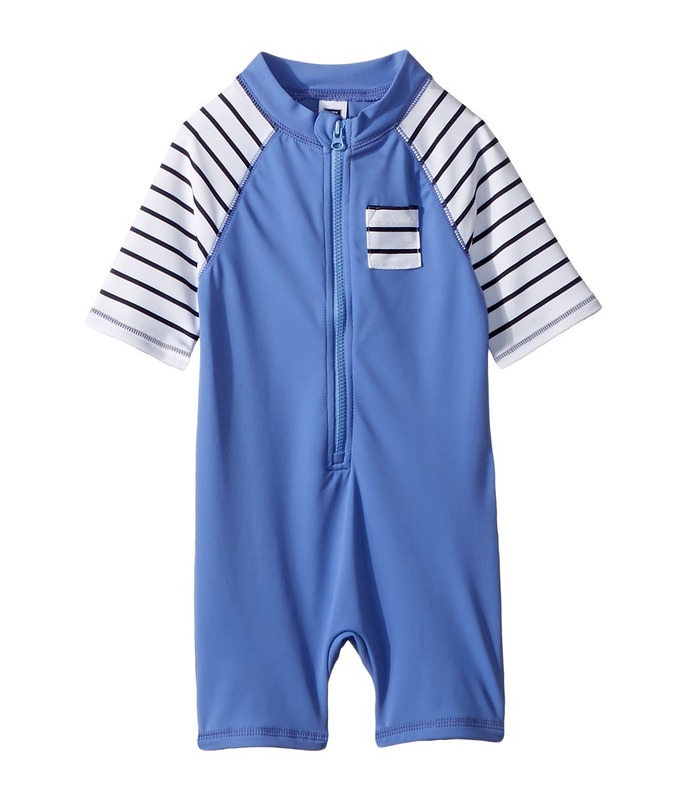 One-piece short-legged sunsuit made from a skin-protecting swim fabrication. A colorful geometric print is featured throughout. Flatlock stitching prevents rubbing and irritation. Mock collar with a zip-up placket for easy dressing. Short sleeve construction. Embroidered rubber logo tag at back. 80 percent nylon, 20 percent spandex. Machine wash cold, lay flat to dry. Imported. Measurements: Inseam: 4 in Shoulder to Crotch: 13 in Product measurements were taken using size 6-12 Months. Please note that measurements may vary by size. The captain of your heart will raise your spirits in the Toobydoo Sweet Pink Stripe Sunsuit. One piece short legged sunsuit made from an skin-protecting swim fabrication. Horizontal pink stripes throughout. Mock collar with a zip-up placket for easy dressing. Short sleeve construction. Embroidered rubber logo tag at back. 80 percent nylon, 20 percent spandex. Machine wash cold, tumble dry low. Imported. Measurements: Inseam: 3 in Shoulder to Crotch: 13 in Shoulder to Toe: 15 1 4 in Product measurements were taken using size 6-12 Months. Please note that measurements may vary by size. 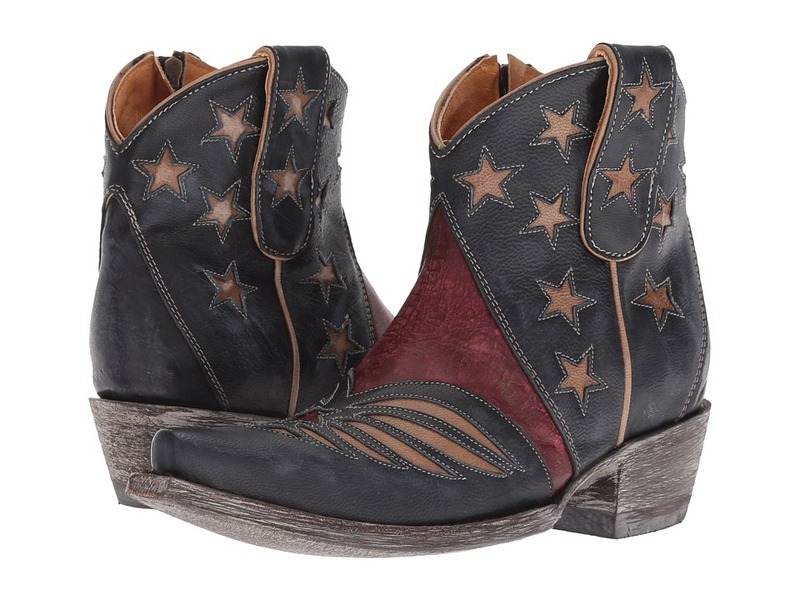 The Old Gringo United Short bootie will show off your true American spirit! Handcrafted leather upper with leather inlays and overlays. Features star-and-stripes design that echoes the Americana heritage. Sturdy leather pull loops for easy entry. Soft leather lining offers an incredibly comfortable next-to-skin feel. Lightly cushioned leather footbed for added comfort. Distressing on both heel and outsole offer a more vintage look. Snip toe. Scoured cowboy heel. Scoured leather outsole with rubber heel cap for long-lasting wear and excellent traction. Every Old Gringo boot is the culmination of an over 250-step production process performed by their skilled craftsmen. This affords their boots the time to cure in a climate control that ensures a consistency of fit and comfort of wear expected from Old Gringo collectors. Imported. Measurements: Heel Height: 1 1 2 in Weight: 1 lb Circumference: 11 in Shaft: 5 1 2 in Product measurements were taken using size 5.5, width B - Medium. Please note that measurements may vary by size. Weight of footwear is based on a single item, not a pair. 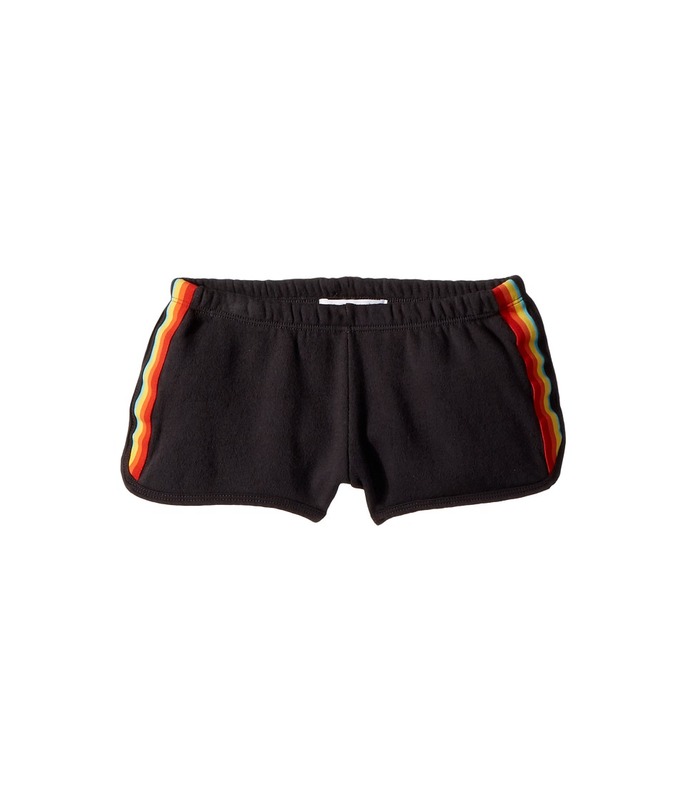 After any bad day, add a little pep in your step in these cheerful Spiritual Gangsta Rainbow Shorts. Colorful rainbow stripe at sides. Easy, elastic waistband ensures a comfortable fit. Flattering curve to shorts. 100 percent cotton. Machine wash, tumble dry. Made in the U.S.A. Measurements: Waist Measurement: 24 in Outseam: 7 in Inseam: 2 in Front Rise: 7 in Back Rise: 10 1 2 in Leg Opening: 7 in Product measurements were taken using size 10 Big Kids. Please note that measurements may vary by size. 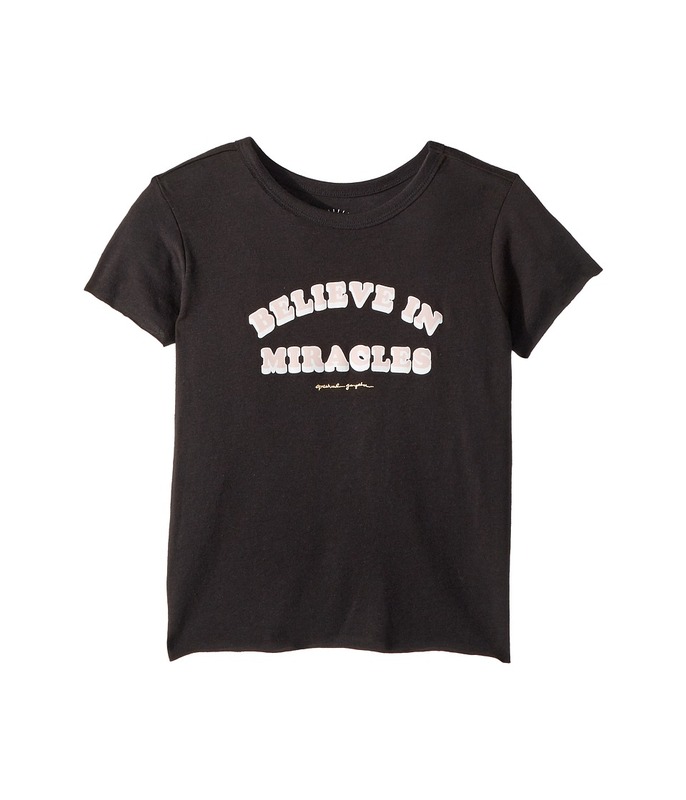 Remind others with your positive attitude in this easy-going Spiritual Gangsta Believe Tee. Supersoft tri-blend with vintage-inspired screenprint at front. Crew neckline. Short sleeves. Straight hemline. 50 percent polyester, 37 percent cotton, 13 percent rayon. Machine wash, tumble dry. Imported. Measurements: Length: 19 in Product measurements were taken using size 10 Big Kids. Please note that measurements may vary by size. Go off on a spiritual journey in these gorgeous Yellow Box Bali sandals. Slides made with textile upper featuring crystal detailing. Easy slip-on wear. Open-toe silhouette. Synthetic lining. Molded, fixed footbed. Synthetic outsole. Imported. Measurements: Weight: 7.8 oz Product measurements were taken using size 7.5, width M. Please note that measurements may vary by size. Weight of footwear is based on a single item, not a pair. The captain of your heart will raise your spirits in the Janie and Jack One-Piece Rashguard. One-piece coverall rashguard made from a durable stretch-nylon fabrication offering UPF 50+ protection to make days in the sun worry-free. Colorblocked color-scheme features a solid body with striped sleeves and chest pocket. Mock collar with a zip-up placket for easy dressing. Long raglan sleeves. Flatlock stitching reduces irritation and increases comfort. Style # 100028071. 79 percent nylon, 21 percent spandex. Hand wash cold, line dry. Imported. Measurements: One Piece Length: 19 in Product measurements were taken using size 12-18 Months. Please note that measurements may vary by size. If you~re not fully satisfied with your purchase, you are welcome to return any unworn and unwashed items with tags intact and original packaging included. 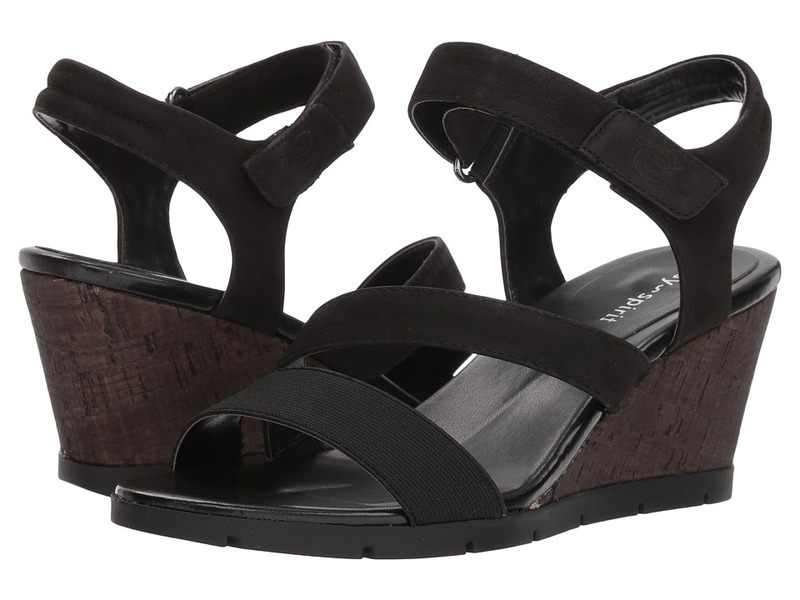 Reach new fashion heights with the bold styling of the Clay sandal by Easy Spirit! Upper is constructed of a combination of leather and elasticized-straps. Adjustable hook-and-loop closure secures foot in place. Padded collar for extra comfort. 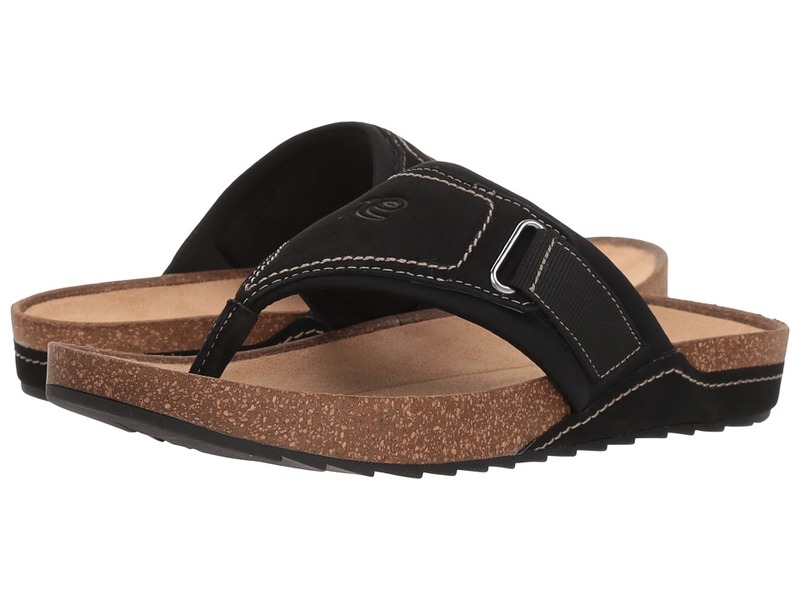 Supple faux-leather throughout the sandal. Foam footbed provides plush cushioning and support. Cork styling wraps around the wedge-heel. Flexible rubber outsole is adorned with groove-pattern for increased traction and grip. Imported. Measurements: Heel Height: 2 1 2 in Weight: 8 oz Platform Height: 1 2 in Product measurements were taken using size 8, width M (B). Please note that measurements may vary by size. Weight of footwear is based on a single item, not a pair. 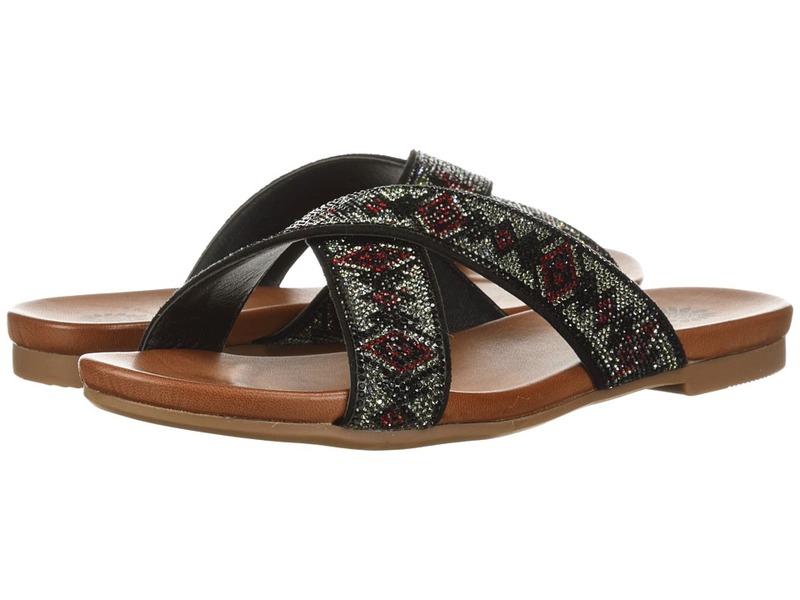 The Kalilah 2 sandal is the perfect on-the-go sandal for the well-traveled fashionista! Upper is constructed of textile mesh fabrics for a more breathable experience. Easy slip-on design with open-toe styling. Elasticized-gore within the slingback strap provides an adjustable and formfitting wear. Features padded insole for plush cushioning and support. Seamless wedge design provides ample shock-absorption and support within the heel. Lightweight synthetic outsole construction. Imported. Measurements: Heel Height: 1 1 2 in Weight: 6 oz Product measurements were taken using size 8, width W (D). Please note that measurements may vary by size. Weight of footwear is based on a single item, not a pair. 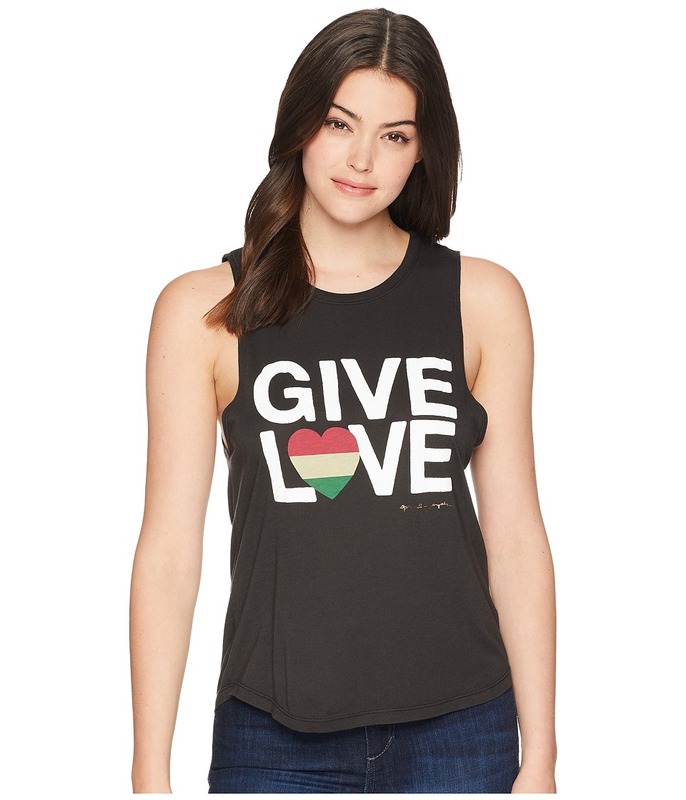 Ditch the sleeves and showoff those gains in the Give Love Muscle Tank Top. Loose, easy fit muscle shirt crafted from a soft modal-cotton blend. Brand graphics emblazoned at chest. Rib-knit crew neckline. Sleeveless design with wide armholes. Straight hemline. 50 percent MicroModal modal, 50 percent Supima cotton. Machine wash, tumble dry. Made in U.S.A. Measurements: Length: 26 in Product measurements were taken using size SM. Please note that measurements may vary by size. 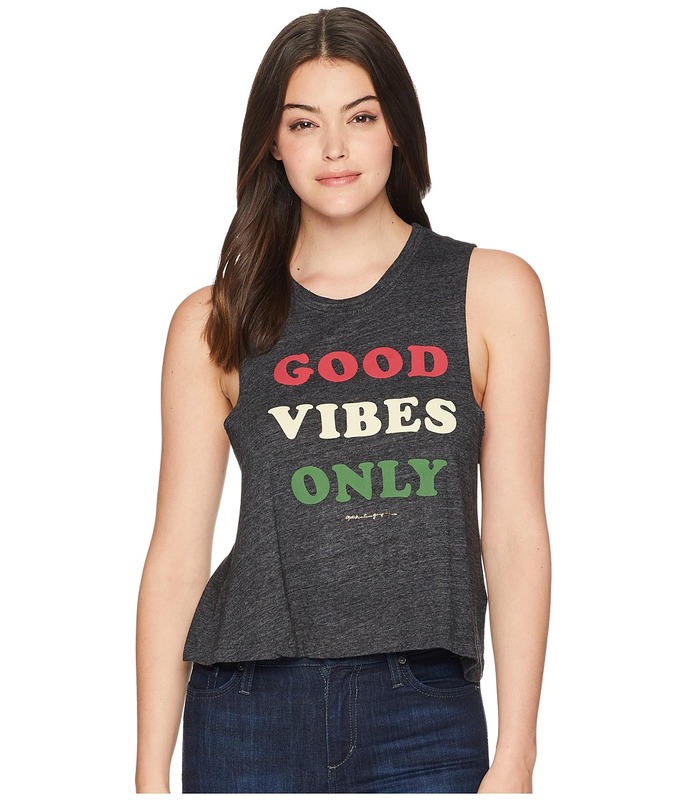 Set the bar in the Good Vibes Only Crop Tank Top. Relaxed, easy fit tank crafted from a super-soft tri-blend jersey fabric. Brand text emblazoned in front. Rib-knit crew neckline. Sleeveless design. Cropped, straight hemline. 50 percent polyester, 37 percent cotton, 13 percent rayon. Machine wash, tumble dry. Made in U.S.A. Measurements: Length: 23 in Product measurements were taken using size SM. Please note that measurements may vary by size. 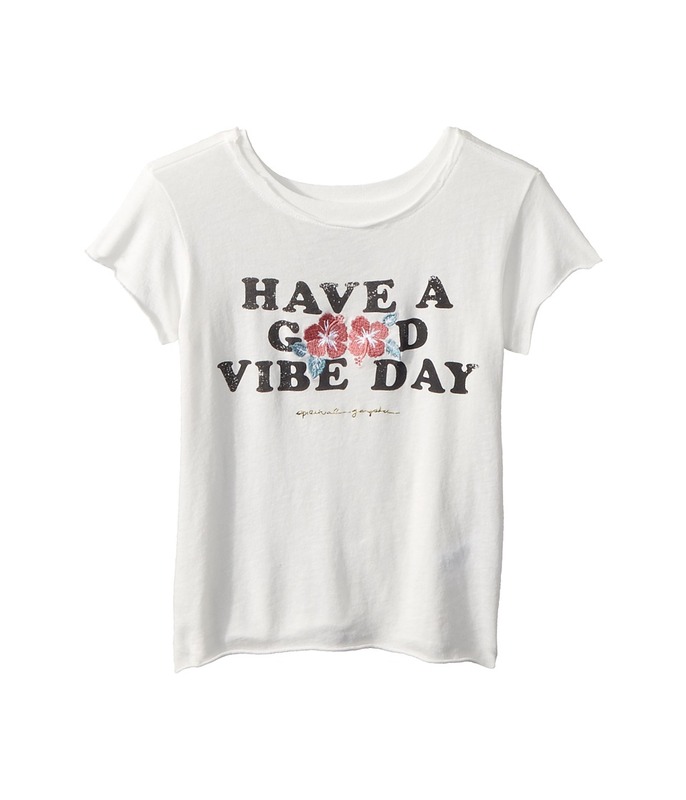 Vibe through the day with a good attitude in this carefree Spiritual Gangsta Good Vibe Day T-shirt. Standard fit drapes the body with an easy, loose shape. Ultra-soft knit offers superior comfort for all-day wear. Scoop neckline. Short-sleeve coverage. Raw-edge seams lends an unfinished look. Screened text printed across front with floral details. Straight hem. 50 percent cotton, 30 percent rayon, 20 percent polyester. Machine wash, tumble dry. Made in the U.S.A. Measurements: Length: 16 1 2 in Product measurements were taken using size 4T Toddler. Please note that measurements may vary by size. Flirty, free, and functional! The Peony sandal by Easy Spirit is the missing piece to your summer-style! Upper is constructed of a combination of leather and textile fabrics. 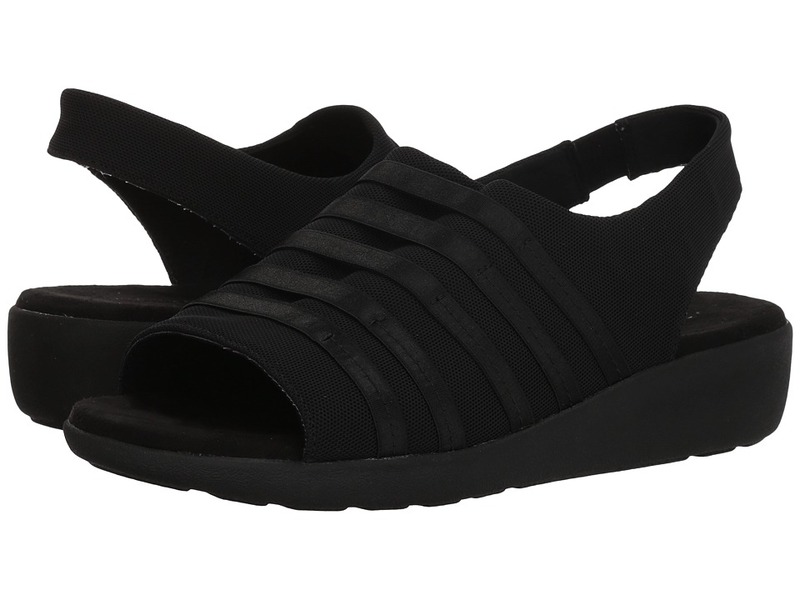 Easy slip-on design with classic thong-strap styling. Adjustable hook-and-loop closure secures foot in place. Supple microsuede lining throughout the sandal. Contoured cork footbed delivers ample arch-support and cushioning. Lightweight rubber outsole is adorned with ridge-like pattern for increased traction and grip. Imported. Measurements: Weight: 7 oz Product measurements were taken using size 8.5, width W (D). Please note that measurements may vary by size. Weight of footwear is based on a single item, not a pair.